The Kg m/40 was a light machine gun used by the Swedish Army during the 1940s. A small number were also manufactured in Germany by Knorr-Bremse for the Wehrmacht and Waffen-SS, under the name MG35/36A, though they were mostly called just "the Knorr-Bremse". 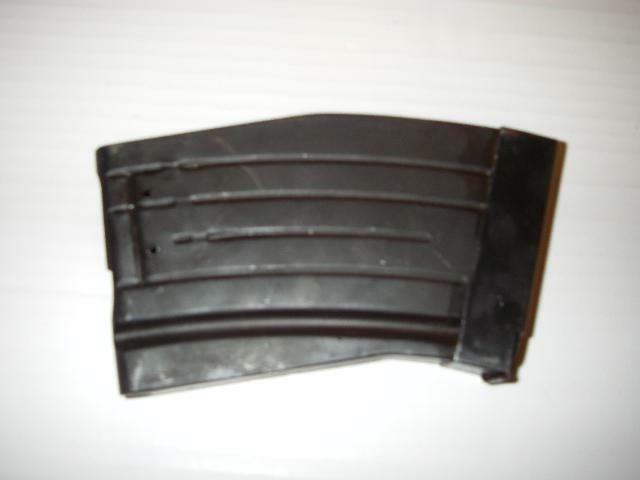 The KG/1940 loaded its magazine from the side, similar to the FG42. 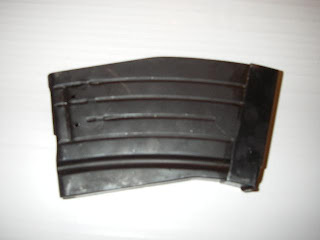 It also had the ability to use 20 round magazines from Swedish type M1918 BARs. In 1940 there was a desperate need for machineguns in Sweden. The production rate of kg m/37 (Swedish BAR variant) was rather slow and not suitable for modern production. 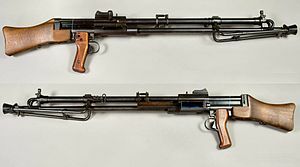 In 1940, a LMG was accepted called system SAV (Svenska Automat Vapen = Swedish Automatic Weapons). The design was made by a German called Hans Lauf at Magdeburg Maschinenfabrik AG. However the patent starts out from the 22nd of November 1933 in Sweden. He had two fellow applicants from Sweden: Ivar Staeck and Torsten Lindfors. Staeck and Lindfors got the patent for the double gas canal system and the double trigger construction. This prototype was called LH33 and it later became Kg m/40. 1935 Hans Lauf became manager for the AG Knorr-Bremse, Berlin-Lichtenberg. There he got a patent on September 19, 1935 for a similar weapon called LH35 which is modified to LH36 and this prototype was later accepted as the German MG 35/36. Wendelin Przykalla at Knorr-Bremse AG made some further improvements 1939. The weapon was most likely only designed at Knorr-Bremse but manufactured in Waffenfabrik Steyr.